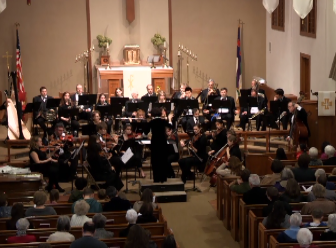 In its upcoming scheduled free-admission 3:00 p.m. concert on Sunday, April 23rd, the Fox Valley Philharmonic Orchestra, under the baton of James Yarbrough, will feature solo virtuoso performances by its principal chair wind players in concerto works by Mozart and Cimarosa. Two Mozart works are on the program: the jocular first movement from the Third Horn Concerto and the ever popular Sinfonia Concertante for Wind Quartet, with its delightful musical dialogue between 4 soloists & orchestra. The Cimaraso work, Concerto for Two Flutes, has been likened to dueling flautists in the manner and style of competing soprano divas on the opera stage. 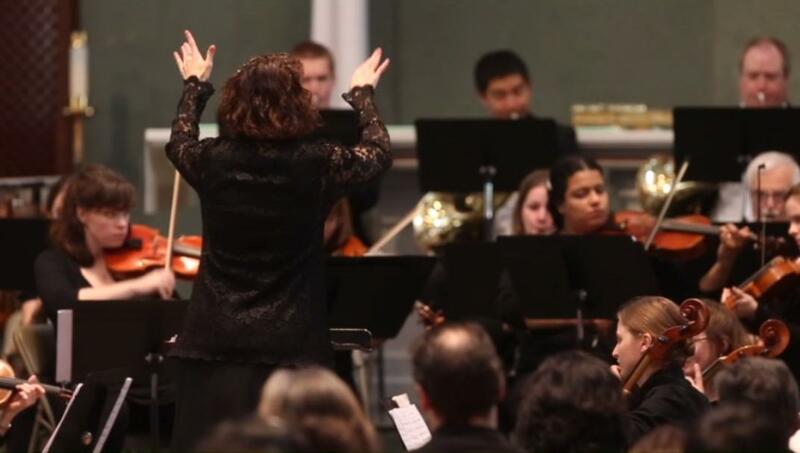 And, although not in a concerto, an equal virtuosity will be on display in the full-orchestra’s performance of Dvorak’s rousing, foot-stomping Slavonic Dances. The 3:00 p.m. event will held at Our Savior Lutheran Church, located at 420 West Downer Place in Aurora (there is plentiful parking space available in the lot behind the church, accessible from Garfield Avenue). Admission to the concert is free, but free-will donations are solicited and appreciated since donor generosity helps cover expenses to keep to the free-admission concert policy viable. This concert is partially supported by a grant from the Illinois Arts Council, a state agency.